Details: Embroidered Bristol Rovers badge. Sponsor and Avec logo embedded in material. 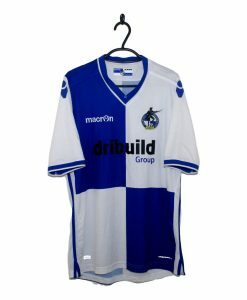 The 1999-00 Bristol Rovers Away Shirt made by Avec has a yellow base colour with a navy band running across the centre of the jersey which features the Cowlin Construction shirt sponsor. A thinner white stripe runs along the top and beneath the navy chest stripe. 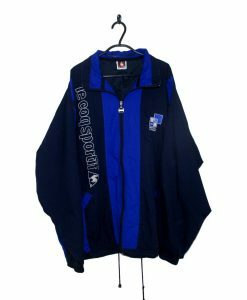 The top of the shoulders also feature a thick navy stripe running across the top with a thinner white stripe either side. 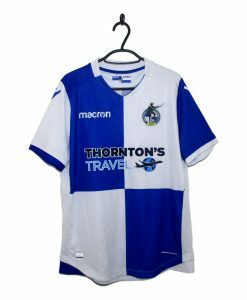 Navy Avec lettering appears on the right breast whist the Bristol Rovers badge is placed on the left breast.